You may be wondering that “Is my computer 32-bit or 64-bit version of Windows 10?” You must know it when you need to download Windows drivers for your hardware devices, because there are drivers for 32-bit and 64-bit. Here are a couple of ways to help you find out whether Windows 10 is 32-bit or 64-bit on your computer. Step 4. 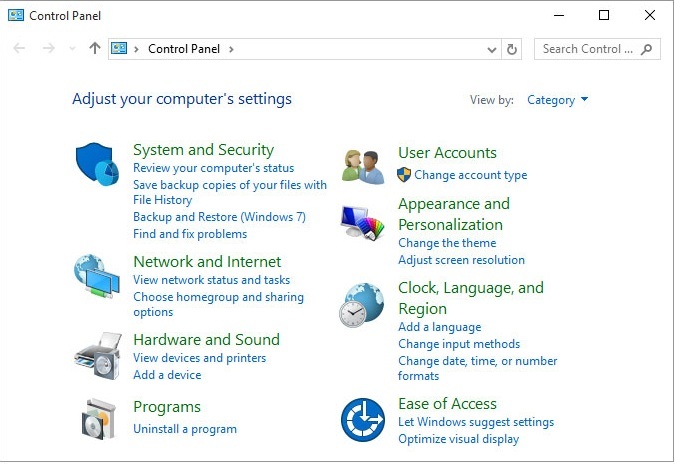 Click View basic information about your computer. The System type will tell whether your Windows 10 is 32-bit or 64-bit operating system. Note: Either x64-based processor or x86-based processor indicates the hardware architecture. It is allowed to install a 32-bit edition of Windows 10 on either an x86 or x64 based system, but a 64-bit edition can only be installed on x64 hardware. The System type will tell whether your computer is 32-bit or 64-bit Windows 10. If you know other ways to tell whether Windows 10 is 32-bit or 64-bit, welcome to share with us in the comments section below. Regarding this matter, can someone explain why some computers with less than 4 gigs of RAM use a 64-bit OS?